Lieutenant Colonel Bernard Salway Grissell. Mickleham. Thank you to Mickleham and Westhumble Local History Group for allowing Dorking Museum to publish their research. Thank you to Jane Anthony from Dorking Museum for additional research. Thank you to Giles Morgan, great grandson of Bernard Salway Grissell for additional family information. 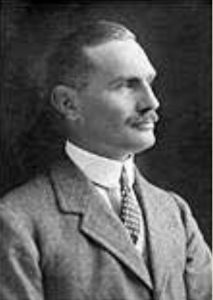 Lieutentant Colonel Bernard Salway Grissell, born in 1879, was the second son of Thomas De la Garde Grissell (1852-1915) and his wife Frances Adelaide (nee Beale 1854-1888). Thomas and Frances were married in 1877 in Clun, Shropshire. In 1881 the family were living at Norbury Park Mansion at Mickleham, Bernard had an older brother Thomas (1878-1970) and a younger sister, Margaret (1880-1933). The estate consisted of 300 acres and they employed 30 staff, as well as 11 domestic servants including a butler footman and other domestic servants. They had a further two children Arthur (1882-1896) and Francis (1886-1916). Their mother Frances died on 1st October 1888 and is buried at St Michaels Mickleham. In 1891, after the death of their mother the family moved to 7 Fourth Avenue, Hove, where their father, Thomas De la Garde Grissell, gave his occupation as being a Justice of the Peace for Surrey. The family later moved to Redisham Hall in Suffolk. Thomas, Bernard and Francis were all educated at Harrow. The oldest son Thomas De la Garde Grissell, born 1878 was the only brother to survive the war, he was a barrister by profession and during the war was also a Lieutentant Colonel for the Suffolk regiment. In 1901, Bernard was a Lieutenant serving with the Norfolk Regiment (93817/11). He took part in the Boer War. He served in both India and Ceylon, and this is where he married Mary Olive Wood, in St Georges Cathedral, Cape Town in 1906. By 1914 their home was at the Grange Thorpe Road Norwich, from where Mrs Grissell ran a “comfort” scheme for the troops. They had four children Michael, Rosemary, Veronica and Lavender. Mary Olive Grissell came from a family that had strong connections to India through her father Colonel Henry Wood. This part of the world became a key factor in both her husband and her daughters Veronica’s lives. Lieutenant Colonel Grissell received his Commission in the Norfolk Regiment in 1899, and served throughout the South African War, being present at the Relief of Kimberley, and at the Battles of Paardeberg, Poplar Grove, and many other engagements. He served in the Boer War in South Africa (1899-1902). He was granted the South African Medal & Clasp (1st April 1901). He served in India (1903-1911) and acted as Adjutant General to His Imperial Majesty The King/Emperor during Delhi Durbar in 1911. Lieutenant Colonel Grissell was reported missing after the second battle of Gaza (17th-19th April 1917) following the arrival of Turkish reinforcements. He had been given the command of a Territorial Battalion of his own regiment. In the following November (according to Harrow records) his body was recovered two miles south-east of Gaza on the way to Beersheba. ‘His regiment’ (The Norfolk Regiment) as Colonel Kemp wrote, ‘had been proud to find themselves under his command …though apparently of a stern disposition, he was truly sympathetic and uniformly just …he displayed powers of organisation …patience and unerring judgement in the heavy work which then devolved on us.’ The Distinguished Service Order (DSO) is a military decoration of the United Kingdom, and formerly of other parts of the Commonwealth of Nations and British Empire, awarded for meritorious or distinguished service by officers of the armed forces during war time, typically in actual combat. Grissell’s Battalion, The 1st/5th Norfolk’s (TF) Battalion lost seven officers including him, and 199 men killed in action with one officer and 17 men dying from wounds, whilst eight officers and 401 men were wounded and four officers and 229 men were reported as missing, possibly all among the many dead with few as prisoners. 176 camels were also killed during the battle. At the time of his death his actual rank was Major, but he was acting as Lieutenant Colonel. He was buried in the Gaza Cemetery. A full description of the battle can be found at http://1914-1918.invisionzone.com/forums/index.php?showtopic=149084 . His widow Mary Olive remarried, General Sir Thomas Cubitt, who had commanded a Division during the war, he lived near the Grissells in Norfolk. It is not known whether he was related to Lord Ashcombe, who of course was born Thomas Cubitt, however in the Norwich area it appeared to have been be a not uncommon surname. Bernard’s daughter Veronica Bamfield who died in 2000 became quite famous as an intrepid traveller, writer and broadcaster. She married Captain “Tich” Bamfield, and they made their lives in Persia, Iraq, Syria and other parts of the Middle East. She was particularly known for her association with Freya Stark. Bernard and Francis Grissell were the great-grandsons of Thomas Grissell (1801-1874) who made his fortune as a public works contractor. He was responsible for constructing a number of prestigious buildings in England, including Nelson’s Column, Clerkenwell Prison, the Lyceum and St. James’ theatres, and part of the Houses of Parliament. His firm was also engaged in railway building, including parts of the Great Western Railway and the South Eastern Railway. As a result of the profits from his business, Thomas Grissell was able to live well. In 1850 he moved from Kensington Gardens to Norbury Park in Mickleham. 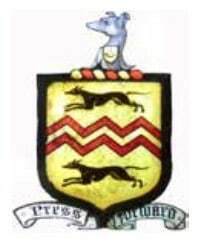 There he was appointed a magistrate, and in 1853, high sheriff of the county. In 1861 when the proposed route of the railway from Leatherhead included parts of Norbury Park, Thomas laid down stringent conditions, including a tunnel which should have no shafts and the company was forbidden to disturb the surface above it. At his behest the railway station at Westhumble was built in the French château style. Thomas died at Norbury Park and was buried in the churchyard at St Michael’s Church in Mickleham. He left an estate of almost £200,000. There is a memorial to Thomas and various members of his family in St Michael’s Norbury Chapel. The Grissell family continued to live at Norbury Park until 1890 when it was sold to Leopold Salomons. Dorking Museum is very grateful to the following members of Mickleham and Westhumble Local History Society for allowing the Museum to publish their research on the WW1 project; Paul Brown; Roger Davis; Caroline Freuler; Judy Kinloch; Judith Long; Phil Randles; Veronica Randles; Sue Tatham and Fiona Taylor. Thank you also to Ben Tatham and Andrew Tatham.